History went horribly wrong a very long time ago when the inhabitants of the island of Mipross were viciously slaughtered. And by the luck of several linear events, ‘short-statured' master mage, Lina Inverse and scantily clad Nahga the Serpent find themselves the holders of discount tickets to the hot springs on Mipross Island fighting demons, conjuring spells, and doing nothing less than saving time itself from being turned towards the path it took as the demon Joyrock forced his serpentine hand, sort of. 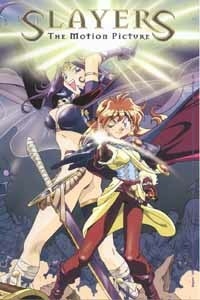 In the literal since, the movie preludes the OVA and TV series because the wizard Rowdy is a member of the clan that spawns Lina's companion Gourry in the Slayers TV series. This stunning softcover presents a straight-forward and definitive look at each of the series AIC has worked on for the past 15 years. The book begins with a stunning 15th Anniversary illustration by Hiroyuki Hitzume that features an all-star ensemble of AIC characters. 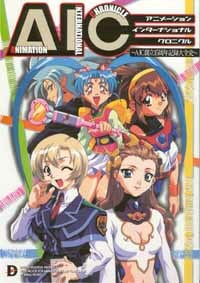 From there the book presents a special showcase of five character designers who have worked with AIC over the years including Kenichi Sonoda and Michitaka Kikuchi. 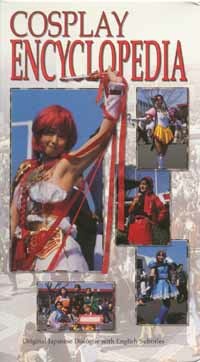 The title CosPlay Encyclopedia is a bit ambitious for a volume that barely scratches the surface of the scope of the fan phenomenon. The volume features Akemi Matsuzawa's look at the lavish fan niche. Matsuzwa is a former anchorwoman who acts as the host to tie together a series of random interviews that her male cameraman conducts.